All time we hear about about American Dow Average and other averages like the S&P 500 or The Russel 2000. So what is it ? Basically these are “market averages” to tell you how companies traded on the stock market. The Dow Jones Industrial Average is simply the average value of 30 large, industrial stocks — one of several stock market indices to gauge the performance of the industrial component of America’s stock markets. 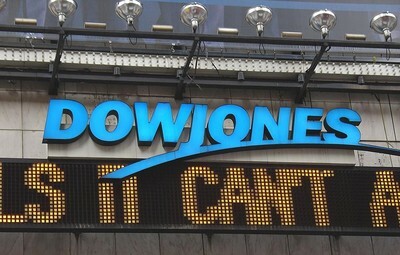 The Dow Jones Industrial Average is also called as DJIA, Dow 30, or informally the Dow Jones or The Dow. The S&P 500 is the average value of 500 different large companies. The Russel 2000 tracks the average of 2,000 smaller companies. Dow Jones is the average value of 30 large, industrial stocks. Individual components of the DJIA are occasionally changed as market conditions warrant. They are selected by the editors of The Wall Street Journal. As of this writing , The Dow Jones Industrial Average consists of the following 30 companies.